On the 14th anniversary of 9/11, social media has become a safe place to share memories, tributes, and general thoughts on the events and how we have coped since. And while most Americans can speak to the events in some way, finding some personal connection, often the most affecting remembrances come from people directly affected by the attack. 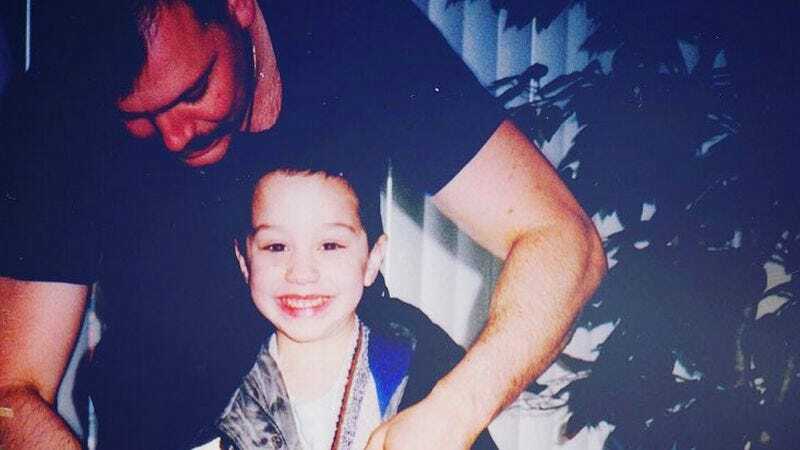 That’s the case with Saturday Night Live cast member Pete Davidson, whose father was a firefighter killed in heroic duty on September 11, 2001, when the comedian was only seven years old. In expected SNL fashion, Davidson’s initial social media post today managed to squeeze a punchline into an otherwise sweet tribute. Davidson followed this post with something straight-faced and touching. And lastly, Davidson expanded a bit on this via Instagram.